A press release hit the wires just a few hours ago with Sprint touting some of the bundled features for the upcoming EVO 3D. While some of you will call it bloatware, others (and Sprint) perceive it as exciting, value-added content. Either way you look at it, the EVO 3D will have a bunch of 2D and 3D ‘it’ when it arrives this summer. 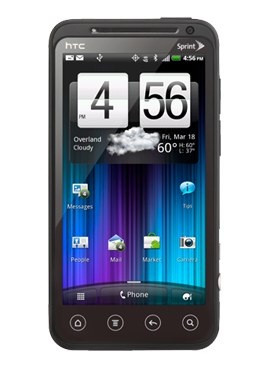 For starters, The Green Hornet 3D will come loaded on the microSD card that comes with a select number of handsets. If the Seth Rogen flick isn’t your cup of tea, then you’ll be able to browse the HTC Watch movie app where this and other 2D/3D movies and television programs can be rented ($2.99 to $3.99) or purchased ($8.99 and up). The programming will be optimized for viewing on HTC EVO 3D but will also be available on other HTC devices, using the HTC cloud. While on the subject of movies, the EVO 3D comes with the Blockbuster On Demand app with its own library of 2D and 3D content. Rentals here are the same price at $2.99 to $3.99 each, and while purchases are lower at $4.99 and up. Gameloft will be pre-loading a demo version of Ultimate Spider-Man: Total Mayhem 3D as well as their Gameloft Storefront app. This application will give consumers quick and easy access to 2D and 3D games from the Gameloft repertoire. Additional software expected on the EVO 3D include YouTube, Facebook, and Qik. Given that the phone is centered around its 3D capabilities, the apps provide a place for users to share their content with others.